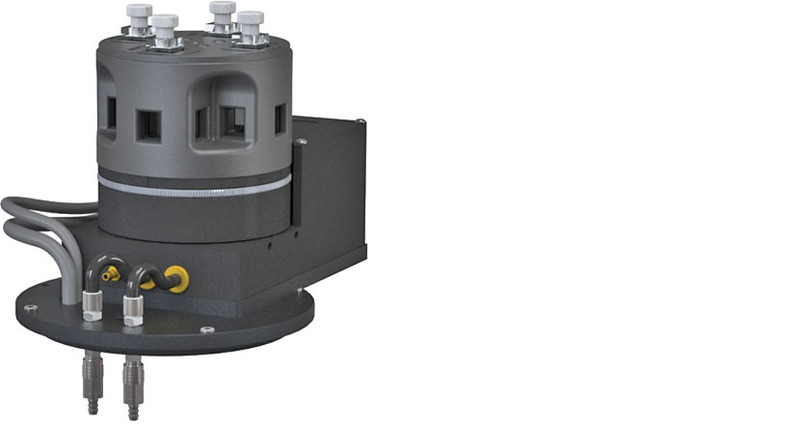 Increase productivity with the Turret 4/980, a 4-position turret cuvette changer for the Edinburgh Instruments LP980 Luminescence Spectrometer. The Turret 4/980 provides rapid, precise temperature control from -15 °C to +110 °C for to up to four cuvettes. There are three optical ports around each cuvette with dry gas purging to minimize condensation when working at cold temperatures. 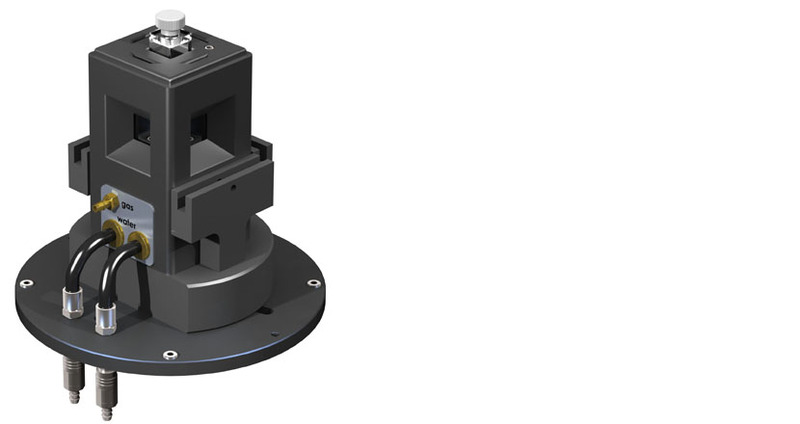 Precise, stepper-motor-driven magnetic stirring is available in each cuvette ensuring that each sample in the turret is studied under nearly identical conditions. The Turret 4/980 may be controlled using the menu button on the front of the TC 1/Multi controller or through program T-App available from Quantum Northwest. Fully integrated control through the Spectrometer is available from Edinburgh Instruments.